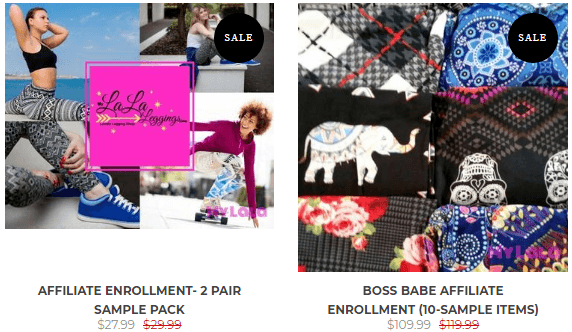 My Lala Leggings Reviews – Legit Business or Scam? Welcome to my My Lala Leggings review 2019! My Lala Leggings CLAIMS that it has already enable hundreds of women to get financial freedom from the comfort of their home. Everyone can use their business because there is no start-up cost, no monthly fees, and no quota. I know such claims from a legging company may be unreal because people have a horrible experience with many such companies in the past where they have to maintain the bulk of inventory. So, I decided to look into the My Lala Leggings and share my honest opinion with you whether this Company has the potential to make you good income or not. Whether it is really that easy for My Lala Leggings to fulfill its promises? Is it worth your time? And most importantly, is My Lala Leggings a scam or legit? Summary: My Lala Leggings is a company that sells leggings since 2016. They have also added other products like shots, skirts, jogger, and tops as well. The Company offers a low startup cost to become its affiliates and make money. However, you don't get any training to promote its products online. So, the only option you can avail is face to face marketing which is very difficult to do. The Company also has a strict refund policy which makes it an unattractive opportunity for the people. What is My Lala Leggings? 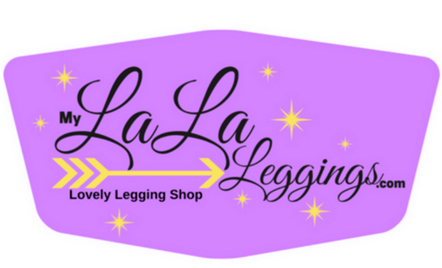 My Lala Leggings is a legging company and started its journey in 2016 by selling leggings LOCALLY. With an increase in customers’ base and an increasing demand from people who wanted to sell their fashion to the world, thus, they launched their affiliate program! Now the Company has transformed it into a Direct Sales Company and using the power of its affiliates; it is growing very fast. Leggings business had become very popular in 2012 and 2013, and that’s where many companies have stepped in this industry to fulfill the needs of people. Majority of their items are leggings. However, they also have joggers, jeggings, dresses, shorts, skirts, tops, activewear, and gift cards as well. On some occasions they may have other mixes of fabric from time to time. The products get SHIP FREE for Domestic, that’s pretty awesome. For orders, they use UPS mail service which nearly takes anywhere between 1-3 days. Holiday seasons and other peak seasonal sales may take some more days to deliver. Now let’s discuss their RETURN POLICY, they offer a 14 days period for a refund or 30 days for an exchange. If you decide to return your leggings for whatever reason, your returns must be unwashed and unworn with original tags intact. There is a $3.50 return fee which they will deduct from your return amount. There is a refund and exchange fee of $3.50 which seems unrealistic. Even there is no fault at your end still you have to bear this fee. Also, if you somehow purchase the stock in bulk and couldn’t able to sell it. Now what? You have a bulk of inventory at your home, and due to time limit constraint, your investment get stuck. Also, you just cannot show people leggings on the pictures; you have to maintain some stock to display at your boutique. That’s how people could notice them, and you earn money. So, you need to determine the optimum stock level which not only get burden for you but also at the same time good enough to be shown to your customers. There are strict refund conditions of unworn, unwashed clothes with original tags to be intact otherwise they will not entertain you. How can you check those clothes without untag and wear them? How to Make Money from My Lala Leggings? To make money from My Lala Leggings, you have to become their AFFILIATE. This could be achieved by purchasing one of their kits. Affiliate Enrollment Only: The price is only $10, and this package doesn’t come with any leggings. You can get your affiliate code so that you can start selling. This option is great for those who don’t have much money to invest. Affiliate Enrollment – 1 Pair Sample Leggings: The price of this package is $18.99. This is also a good option for starters, and there is not much price difference between $10 and $18.99. With this enrollment, you will also get one pair of leggings to see the quality of their stuff. Affiliate Enrollment – 2 Pair Sample Pack: The price of this option is $27.99. With this package, you will get two pairs of leggings for the size you choose. Boss Babe Affiliate Enrollment – 10 sample items: This is in the range of $109.99 to $125. If you have the money for it, this would certainly be a fun enrollment kit. Also it will save you big. Next, you will need to fill out the affiliate signup form. Add your name, email, address, and choose a My Lala ID. It may take up to 24 hours for them to approve your application. Once your application has been approved, you will get up to 40% discounts on their products. You will get a 25% discount on all your future purchases! However, this rate can be increased to 40% if you buy their Bulk supply packages. They have a 25% commission rate on all online sales generated through your affiliate links as well as a referral commission of $5 for every person you refer to them that becomes their affiliate! They have also offered a second tier commission of 5% sales revenue from your personally referred affiliates. They pay affiliates on every Friday for sales made by Wednesday. There is a $10 limit for weekly payouts. If you love selling clothes and don’t have much money to invest, it can be a good idea to join My Lala Leggings. You only need to invest $10 in their enrollment package and a few hundred bucks to have a collection of leggings. If you sell them, you can earn a 25% commission which I think is a decent rate to start with. Once you sell the initial lot, you can also sell later on. This is how you can scale up this business. They also don’t have any other monthly or hidden fee. If you don’t like to invest in the stock, fair enough! You can sell their items online. Just send people to their store using your affiliate link, you have a chance to earn 25% affiliate commission. In my opinion, promoting online is a much better idea as it could also scale it up quickly. You can use social media, store, blog or a YouTube channel to send traffic to their site. Even there is a second tier commission of 5%, and it could add up very quickly once you enrolled people under you. What this means is that you don’t have to sell a certain number every month to stay active. There are instances with other Leggings companies, when they don’t receive an order; your account could be canceled after a year of inactivity. With Lala Leggings, I couldn’t see any such restriction at the time of writing this review, but they can change their terms and conditions anytime when they want. Still, there is a low start-up fee, and it wouldn’t hurt you much after all. The Company launched in 2016, and still, it is a new company. Unless there are reviews from the people on the web, we don’t trust them much. They have also not listed on the Better Business Bureau (BBB) to see how they are handling customers’ complaints. That’s why people are reluctant to join those new companies because they don’t know when their terms and conditions get changed. 2. How to Bring Traffic? Though you are paid 25% affiliate commission for any sale you will make if someone buys through your affiliate link but how you can bring traffic to their store. So, if you don’t know how to drive traffic, there is no way you can make money from this. I also love affiliate marketing business and even at this blog I am making money from affiliate marketing but the money I make based on my consistent hard work. I drive traffic using content marketing. So, if you don’t know all this, I suggest you first to learn how to start a blog and then drive traffic to it. I suggest you a platform where I have also learned all this. So, you rest with only one option, i.e., face to face marketing. But keep in your mind that it is a tough job and has a lot of limitations. If you are happy with earning a few bucks or a few hundred bucks at the end of the month, you can definitely try this option. But if you are looking for a sustainable option for making money, then this is not for you. Is My Lala Leggings a Pyramid Scheme? 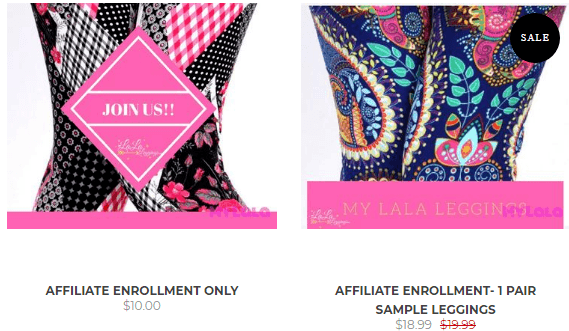 My Lala Leggings is a real company with a real business model, and there are no signs of pyramid schemes. My Lala Leggings offer real products like leggings, shirts, shorts, tops and other items which are always in demand from women. Also, people join them because they are interested in their products rather than their compensation plan. Is My Lala Leggings a Scam? Also, My Lala Leggings isn’t a scam but a trusted company that is growing fast. If you look at the stats below taken from Google trends you could see that leggings are always in demand. Though their sales are blown up when winter starts but still you could see good sales on summer as well. Believe me; both of the options are tough to deal with if you don’t have prior experience. So, you first choose the option and then acquire skills to run that system smoothly. Frankly speaking, I also use Affiliate Marketing business model, but the style I am using has enabled me to earn a 4-figure income month after month. And my business is growing, so you don’t feel such things with your My Lala Leggings business. If you are also looking for a way to earn a sustainable income from home, I suggest you see my #1 recommended system. What's your thoughts on my My Lala Leggings review 2019, please share in the comment section.